Fifty Shades of 4 Ply: Introducing the Rock Those Socks Make-Along! Happy Wednesday folks! I'm really excited to tell you about a make-along project for the Autumn. The lovely Sarah (from Crafts from the Cwtch) and I have been dabbling in some sock making so we are inviting you to join us on this make-along. Sarah will be sharing a knitted sock pattern and mine will be a crochet slipper sock version. How It All Works! Over the course of 4 weeks we will be releasing the pattern in stages, ending in the full pattern. If you'd like to play along you can either join us in the Crafts from the Cwtch Community Group on Ravelry or via Social Media using the tag #rockthosesocksmal You Will Need! Yarn of your choice! I'm using Scheepjes Stone Washed in 4 different shades (809, 813, 814, 820) as I'm making some striped socks, but you can make them in a single colour. You'll need 2 balls. The socks are a toe up design with a turned heel. We will also be talking about how to adjust your socks as you make them to ensure that they fit perfectly. 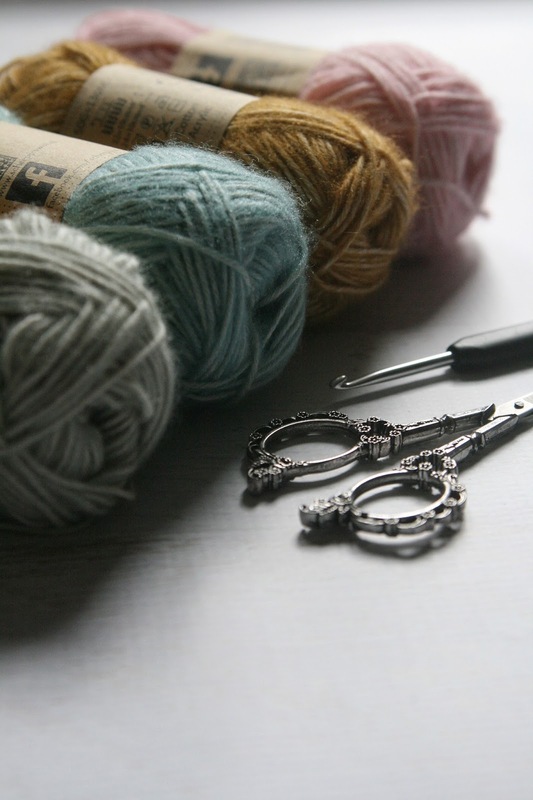 You will also need a crochet hook, some stitch markers and a pair of scissors. I would also recommend having a note pad and pen to hand to jot down notes as you go. I will be doing my best to make Sarah's knitted socks! I've never made toe up socks before so it will be an adventure!!! Now pop over to Sarah's (here) and see what will you need to make her knitted socks! Been wanting to try socks for a long time, this will be an excellent opportunity. I know it is a mystery but at least can you tell if this are solid or lacy? Is it just me or is anyone else finding it difficult to read this web page? It seems to be a very light coloured font on my screen, making it almost impossible to read.